Just Add Water: Arghhhh! 'Tis Free I Tell Thee!! I've come into possession of a free gift that arrived from North Star with my latest order of NWF Brits. 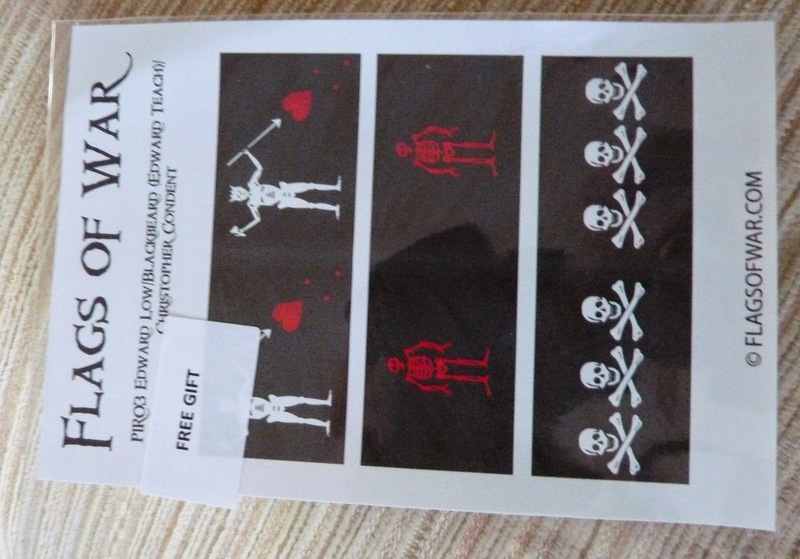 If anyone is interested in having these Pirate Flags please contact me and I'll pop them in the post. I'm not being a Scrouge, but if you're overseas you'll have to pay the postage- times are hard at Just Add Water Towers! (I'm in the UK). Just drop me a line at the e-mail address on the front page of my blog. First come, first served. all I ask is that you 'Follow' my blog then post on your blog and Google Plus me. You're welcome to it if you're into Pirates mate(?). He-he.... I didn't order it, is was in the box with a sticker reading "Gift" on it.